The only way to get true in-depth insight into your web visitors navigation habits is to use specially developed eye tracking techniques. This provides business owners and web developers with deep analytics that ultimately will lead to much improved sales conversions. When used properly highly advanced eye tracking techniques will illustrate exactly where your web visitors focal point will be on the first page that they come into contact with. Eye tracking techniques will also show you how much of the page your visitors are able to visually digest at any given time. By using eye tracking techniques you will be afforded all of the necessary information needed to make the proper adjustments to your web layout and navigational scheme. The most advanced eye tracking tools usually cost thousands of dollars, meaning that they are only cost effective when used on high income websites. For lower end websites you will be forced to use less advanced albeit still effective tools such as those offered at various places around the web. In the section below we’ll give you 7 eye tracking techniques that are certain to help you improve your web conversions. The first technique is to attempt to reduce any elements of confusion. It is common for webmasters to become so used to looking at their own website that they become blind to areas on their pages that may be causing their visitors some confusion. Due to this webmaster blindness issue it is a great idea to solicit eye tracking services that analyze your site so that you can get a fresh perspective on your page layout. By doing this you will eliminate many elements of confusion throughout your navigational structure and page layout. For this technique we encourage you to challenge any assumptions that you have about your website. What you see is in all likelihood not what your visitors are seeing when they visit your website for the very first time. 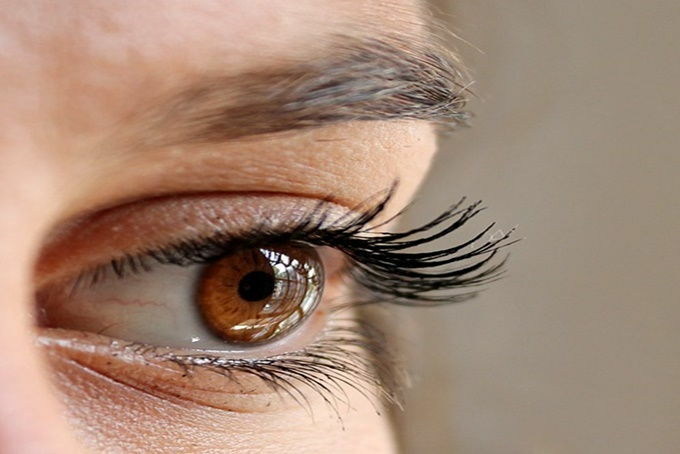 Eye tracking services can help to break down exactly what your visitors are actually seeing. What you have a handle on that you can make any necessary improvements to the user experience in order to vastly improve sales conversions. Another great technique that eye tracking services offer is that they help to highlight specific areas where your visitors are likely to focus on vs areas where their focal point is least likely to touch. In many cases this will be directly affected by the way in which your web page loads. Eye tracking techniques can help you fine tune aspects of your page loading so that you can help your visitors to focus on the information that they are most likely to find useful. Eye tacking service will help you to identify which areas of your website that you need to rebuild or redesign. In order to properly use eye tracking services you need to be open to the idea of making any necessary changes to your website that may be identified as less than optimal. By making these changes you are sure to convert more of your traffic to leads or direct sales. In severe cases you might even need to redesign the entire layout or template structure. If you’re using eye tracking reports correctly then you will be able to precisely pinpoint how far down your pages your visitors are scrolling. You will also be able to deduce where the viewer-ship is dropping off at. For example, you may have an important banner ad down at the bottom of your page, however, your visitors are rapidly exiting the page before ever coming into contact with it. With eye tracking services you will be able to structure your page size and scrolling range in order to fully optimize where your visitors focal point will be. This will ensure that the majority of your web visitors are coming into contact with most or all of the information that you are presenting to them. Eye tracking reports also work to correct another important problem that plagues many webmasters, which is dead links. If your visitors are clicking links that are either not active or leading them to an error page, then chances are they will leave your website or be reluctant to navigate any further through your site. Eye tracking reports help to identify potential hot spots throughout your website where visitors are not able to click through to where they desire to be. These eye tracking services will help to ensure that your web pages are providing your web users with links that actually take them to the page or information that they are seeking. Ultimately a properly working link and navigational structure means more conversions for the webmaster. The most important area where eye tracking services can provide a benefit are in optimizing the placement of your call to action section. The call to action section of your website will either make or break your site, so placing it in the correct area is absolutely essential. With eye tracking analytics you can fine tune your visitors viewing experience in a manner that leads them through an enticing bread crumb trail of information and straight on to your call to action section. Once there, eye tracking analytics will help you to make any necessary changes to the layout or positioning of your call to action section in order to make sure that it is drawing the highest level of conversions possible out of your daily web traffic. If you haven’t taken the time to fine tune your call to action layout and positioning with eye tracking then chances are you are throwing money straight out the window. As illustrated above eye tracking services are not just an option anymore if you want your website to succeed. In today’s tough web arena your website needs to be 100 percent optimized in order to not only ensure that you’re conversions are at their highest, but that it survives for years to come. So give us a call today and get your website turning out the conversions that you know it is capable of generating. We’ll walk you through the step by step process in order to use the most advanced eye tracking techniques developed in order to ensure that your website is 100 percent optimized and in perfect working order.